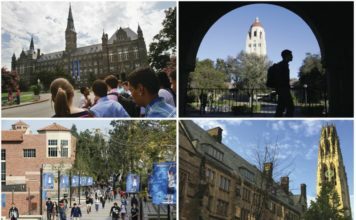 College and Universities are now more than ever swaying away from SAT and ACT scores being the deciding factor on whether or not to grant admissions to a student applicant. Right now more than 1,000 schools including Hodges University and Florida South Western no longer require SAT and ACT scores to get in. More than 130 schools have joined the trend in the last 5 years. Bob Schaeffer with National Center for Fair and Open Testing says colleges and universities now look at more than just test scores. “The high school record, which includes taking lots of tests, and doing essays, and doing class participation and everything else that goes into a good student is a far stronger predictor in graduation then any test could ever make,” Schaeffer stated. But some parents, like Ken Howard, don’t think it’s fair to do away with testing. “I think it’s wrong, I think universities should want to have the best and the brightest. That’s why they are top rated schools,” Howard said. Others like Ashlee Rowland, say they can see the reasoning behind not relying in test scores. “They also look at my volunteer hours, they looked at the grades, I had in my AP classes and to me that was more definitive if I was that a test score,” Rowland shared. Still, more larger colleges and universities are sticking to relying on the test scores to determine who gets accepted.